VI.17.17 Pompeii. Another entrance to double atrium house, or House of Caio Ceio?. Linked to VI.17.16. First excavated 1779. VI.17.15 shop, 16, and 17 entrances, 18 shop, combined plan. Plan courtesy Dobbins, J. J. and Foss, P. W., 2008. The World of Pompeii. Oxford: Routledge, CDRom. VI.17.15-18 – “Due case unite costituivano forse l’abitazione di una sola famiglia. Esse avevano due ingressi separati sulla strada e due botteghe, stando in relazione tra loro per gli atrii, entrambi tuscanici, e ciascuno con tre cubicoli da un solo lato. La prima inoltre no.16, teneva accanto allo ingresso la cucina, poco piu innanza la gradinata che la metteva in communicazione con la casa seguente, e nel fondo il triclinio, una seconda scalinata, e due oeci. La seconda, casa no.17, che sembra la piu nobile, conteneva le ali, il tablino, due fauci, ed un’altra gradinata di discesa. L’edificio poi era terminato nel piano piu alto con un loggiato, che ora era distrutto. "Two united houses constituting perhaps the dwelling of a single family. 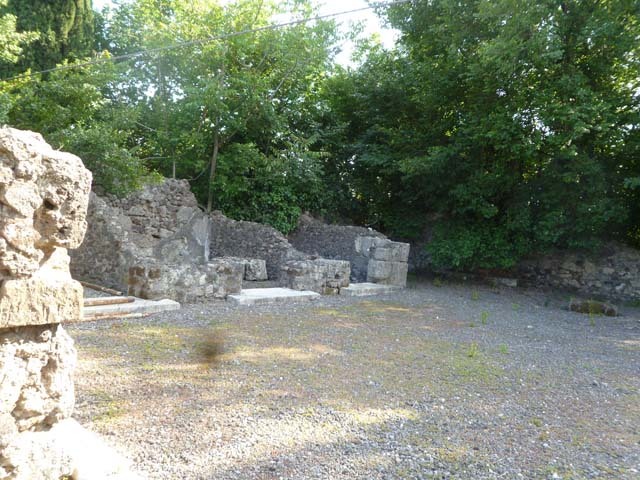 They had two separate entrances on the roadway and two shops, linked to the atriums, both atriums were Tuscanic, and each with three cubicula only on one side. The first No. 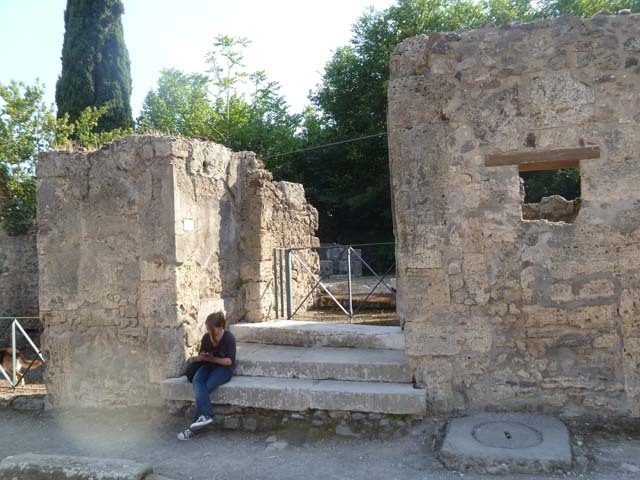 16, had the kitchen near to the entrance doorway, nearby were the the steps linking with the next house, and at the rear was the triclinium, a second stairway, and two oeci. The second, house No. 17, which seemed the most noble, contained ala, the tablinum, two corridors, and another steps leading down. The building was finished on the highest floor with a loggia, which was now destroyed. VI.17.17 Pompeii. May 2011. Looking west towards steps on Via Consolare, leading to vestibule. VI.17.17 Pompeii. September 2004. Looking west at three steps on Via Consolare, leading to vestibule. 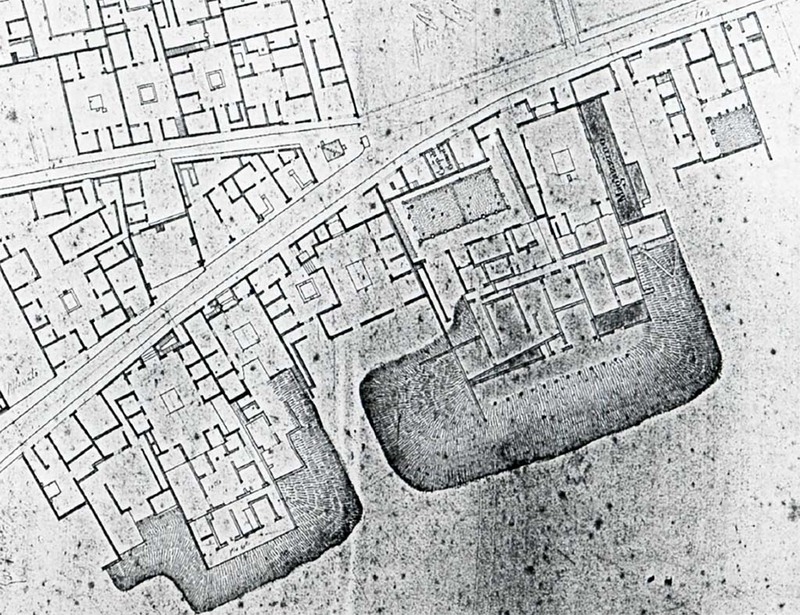 VI.17.17 Pompeii. September 2004. Steps to vestibule, with lizard on step. VI.17.17 Pompeii. 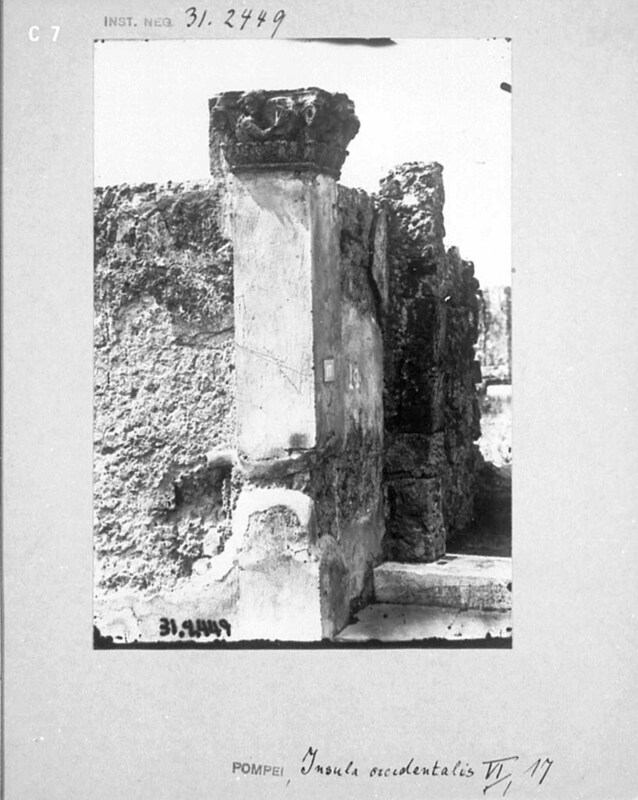 Showing original capital on top of door pillar. 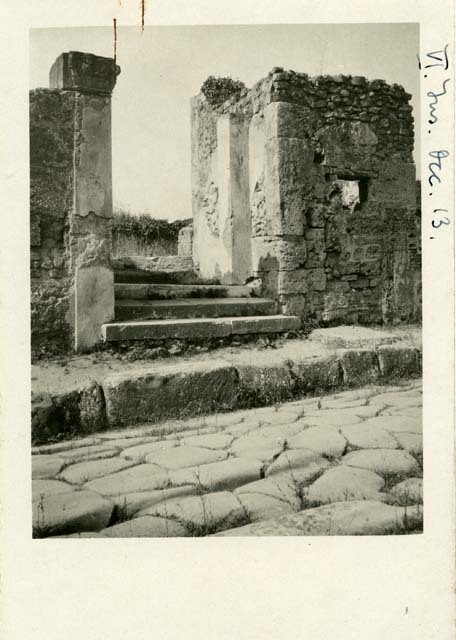 (undated photograph, Fox Collection, Courtesy of Society of Antiquaries). VI.17.17 Pompeii. December 2007. 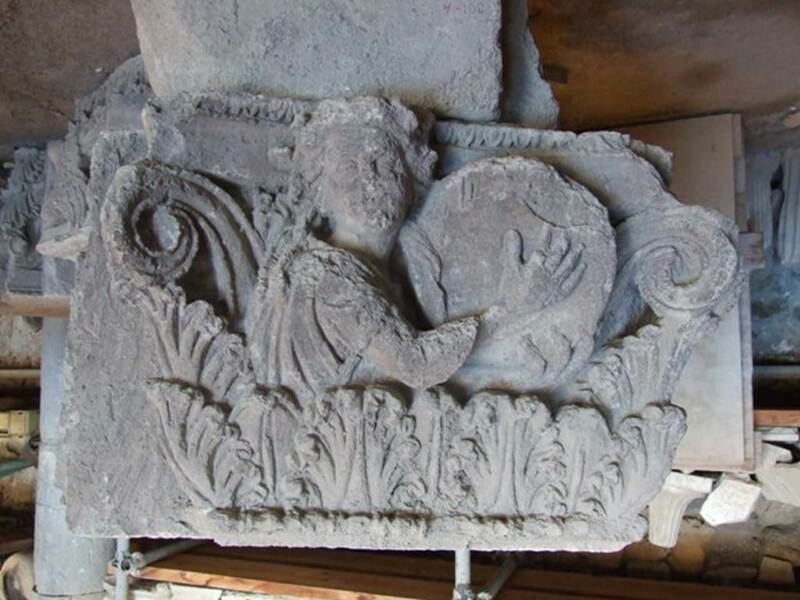 First side of capital from door pillar now stored in Forum Granaio VII.7.29. VI.17.17 Pompeii. December 2007. 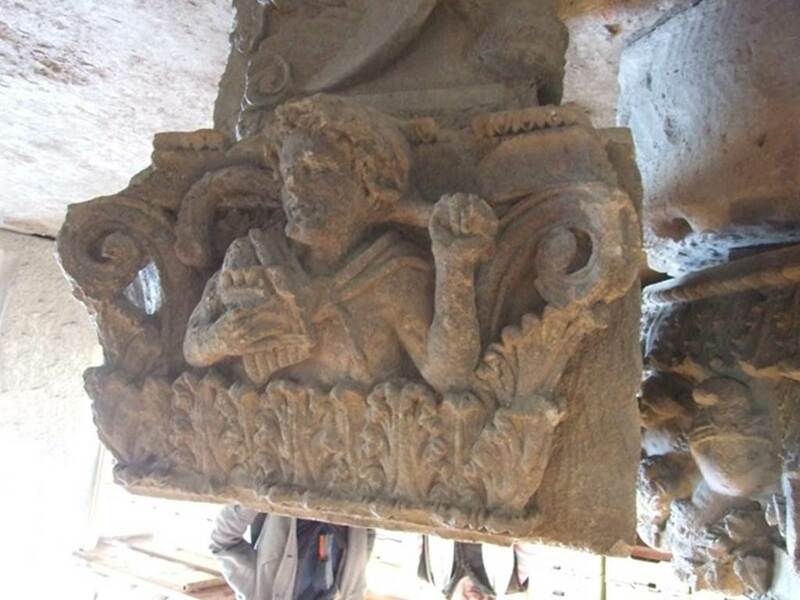 Detail of capital from door pillar now stored in Forum Granaio VII.7.29. 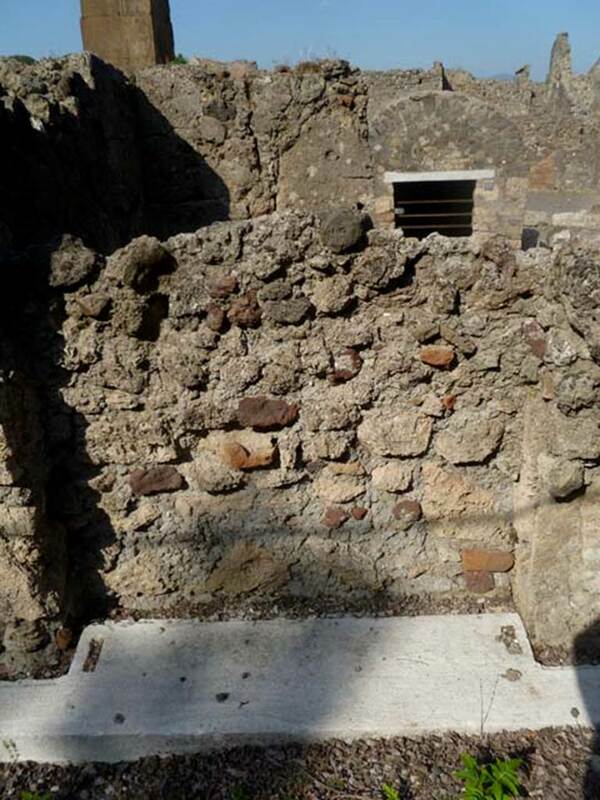 VI.17.17 Pompeii. December 2007. 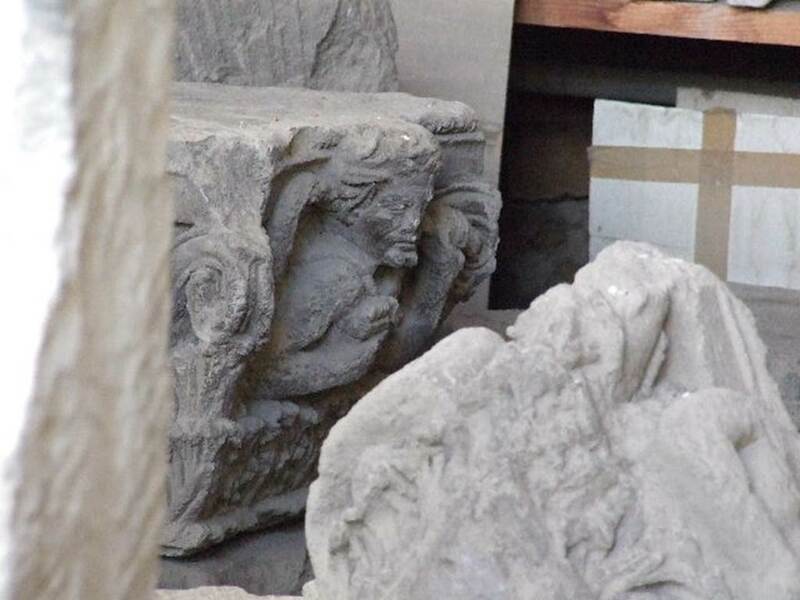 Second side of capital from door pillar now stored in Forum Granaio VII.7.29. VI.17.17 Pompeii. December 2007. 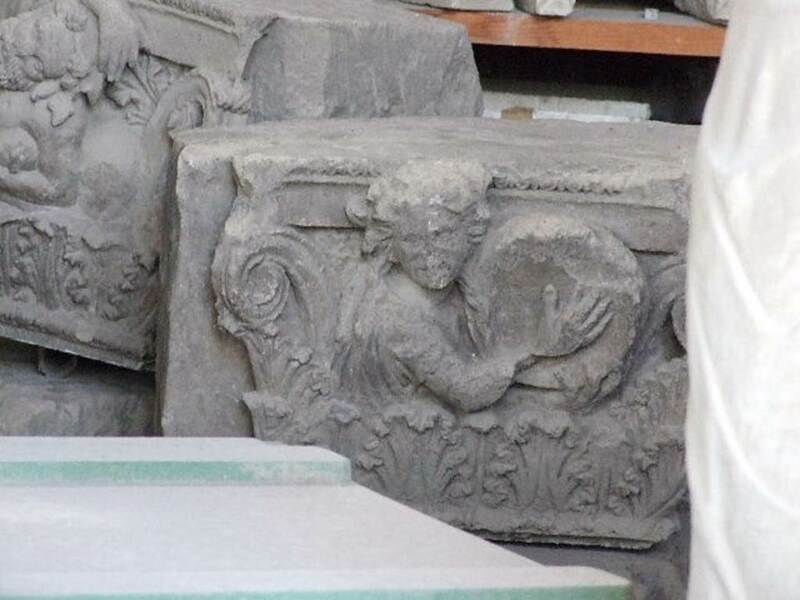 Detail of Capital, on left, now stored in Forum Granaio VII.7.29. South-east corner of atrium, looking east into a blocked doorway, with the remains of its threshold. This doorway would have connected with VI.17.18. VI.17.17 Pompeii. May 2011. Looking towards rooms on south side of atrium. According to Breton, the entrance doorway led to a large Tuscan atrium with an impluvium and cistern in a bad state, and a floor paved with fine black mosaic decorated with regularly spaced much larger white cubes. 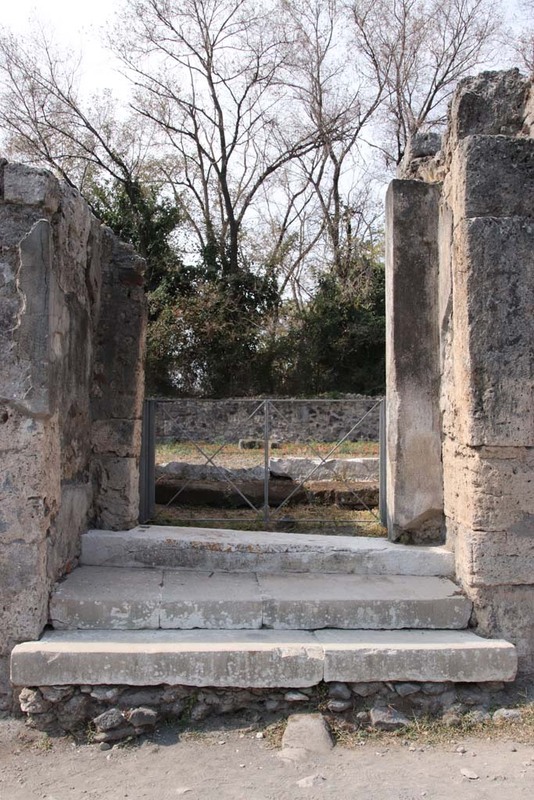 The left side of the atrium showed three cubicula and an ala: the three small rooms had retained their limestone thresholds and an indication of their door closures; in the first room was a recess in the wall for the bed. VI.17.17 Pompeii. May 2005. Doorways to cubicula on south side of atrium. 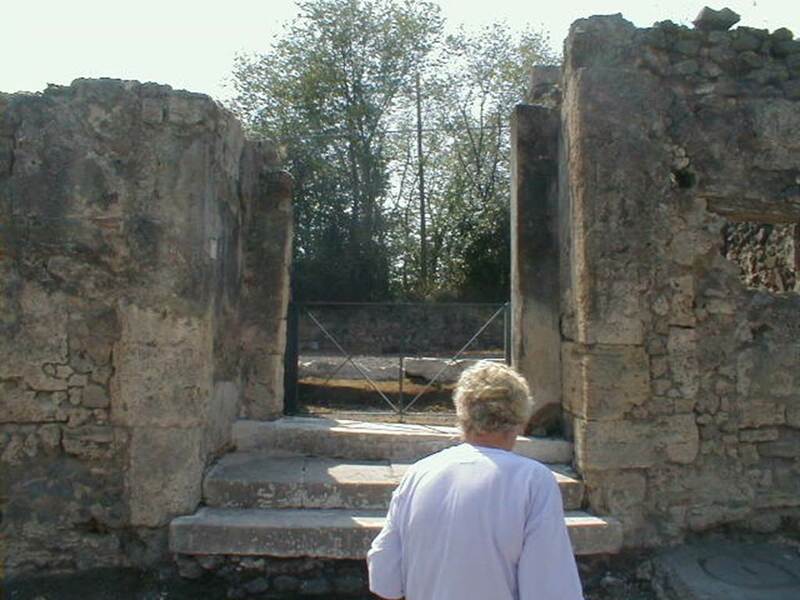 The cubiculum, on the left, has a bed recess in its south wall. VI.17.17 Pompeii. May 2011. Doorways to cubicula on south side of atrium. VI.17.17 Pompeii. May 2011. Looking east along south side of atrium. 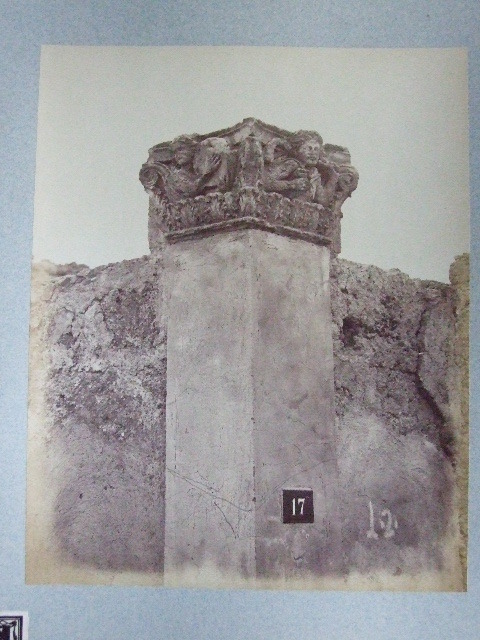 VI.17.17 Pompeii. May 2011. Looking towards south-west corner of atrium. VI.17.17 Pompeii. May 2011. Looking towards west side of atrium, across site of impluvium (no longer visible). On either side of the atrium would have been an ala, at the rear on the left would have been a doorway leading to corridors and steps down to lower floor. 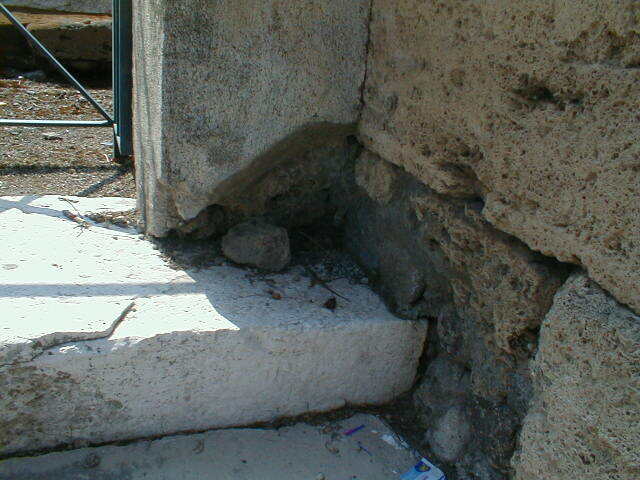 In the centre of the rear wall (now blocked) would have been the tablinum (according to Fiorelli). 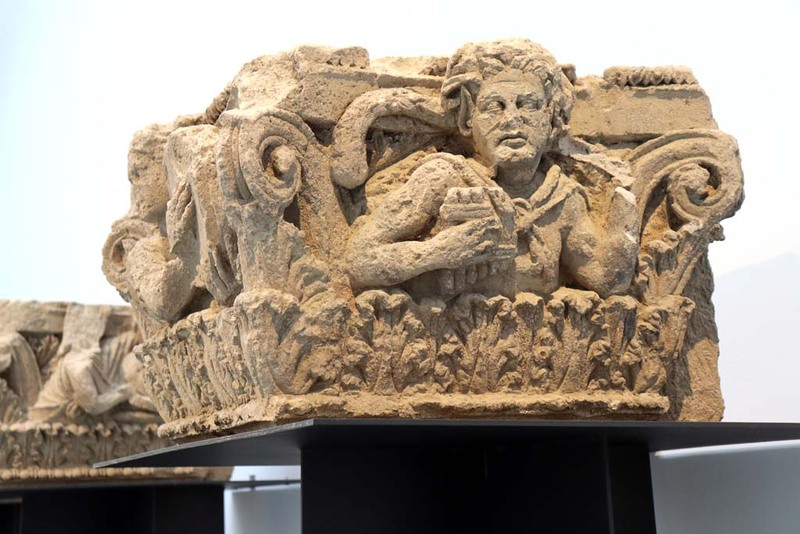 According to Eschebach, there was another blocked doorway leading to an oecus, and possibly a triclinium?. 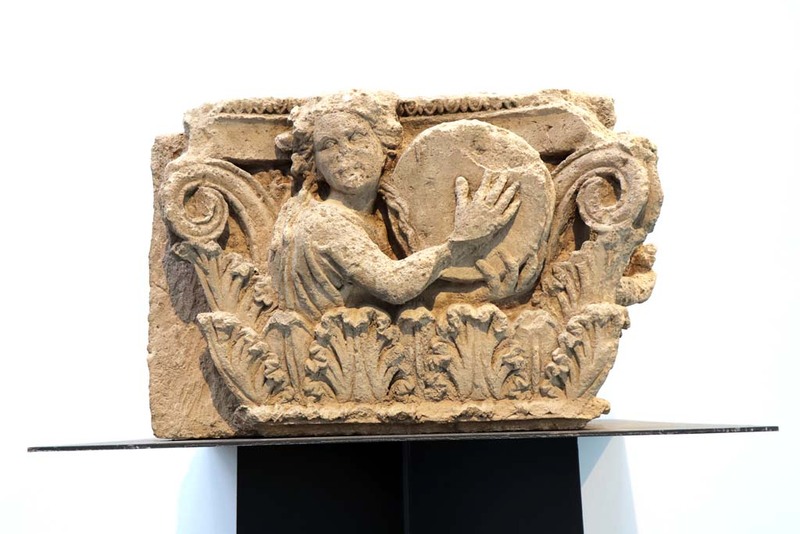 She says the tablinum, oecus and triclinium are no longer there. See Eschebach, L., 1993. 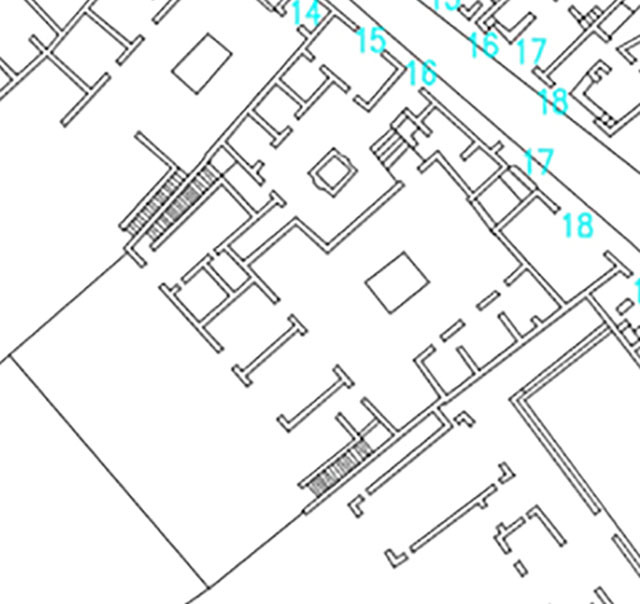 Gebäudeverzeichnis und Stadtplan der antiken Stadt Pompeji. Köln: Böhlau, (p.236). VI.17.17 Pompeii. May 2011. Looking north along west side of atrium, with blocked doorways. 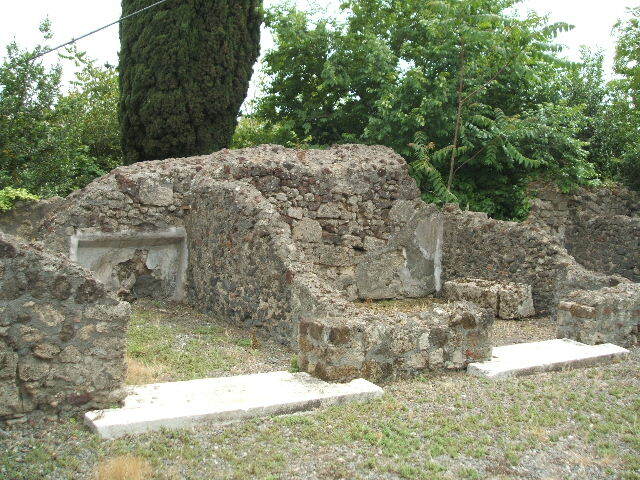 VI.17.17 Pompeii. May 2011. Looking north along west side of atrium.